Fantastic lighting experiences that enhance your interiors. Lighting has always been a central part of our homes. We build our houses to make the best of the daylight. 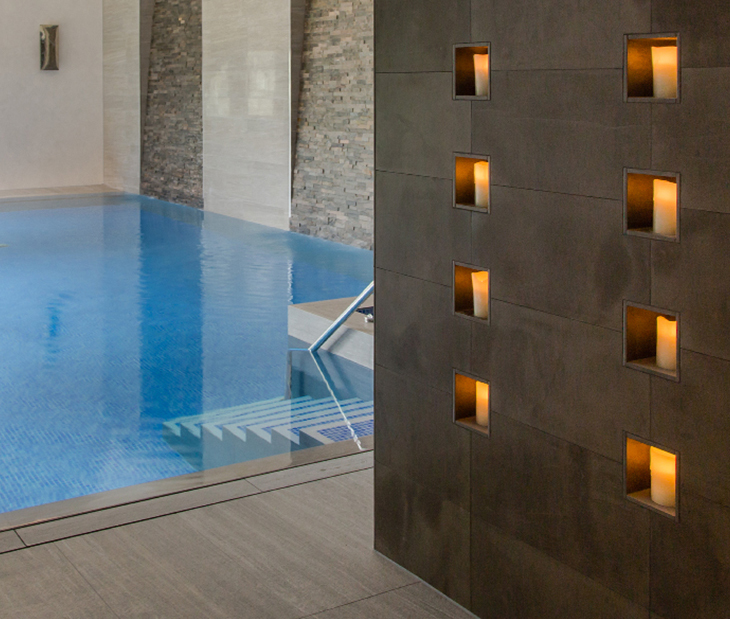 We use lighting to highlight the best features of our interior design. And most importantly; we benefit from lighting for a brighter, productive lifestyle at home. This is exactly why we want to create the best lighting experiences for you. Technology now enables us to accentuate the best features of our houses through lighting, influence how we feel and even save money. Moreover, smart home features make lighting an even more integral part of our lives, thanks to sophisticated automation benefits. With an award-winning portfolio and 15+ years of experience, Finite Solutions provide lighting design and control solutions that incorporate the best lighting technologies available with a design language that compliments your interiors. Advanced lighting technologies can contribute in the design of your interiors, help you make the best of natural light and save you money on energy bills. Regardless of whether you are undertaking a whole house lighting automation or single room lighting design, there is something in the world of lighting for everyone. Lighting is the complementing factor of architecture, furniture and decoration to unravel the soul of your interiors. Therefore designing the perfect lighting scheme can be the most crucial decision to make to create truly captivating interiors. Selection of the correct light fittings, ensuring the light bulbs have the right colour tones and implementing different lighting scenes for different activities can redefine the interior atmosphere at the touch of a button and give your home a brand new look. We believe lighting can inspire and influence the way we feel. Advanced lighting technologies of today allow us to create exactly that. Innovation boosted ways improve lighting to harmonise our interiors and transform them into eclectic venues. Thanks to the smart home systems, you can have different lighting scenes controlled with ease. Different lighting modes based on activity or mood can be preset. That way, regardless of whether you want to watch a film, have a romantic dinner or even just to chill, you’ll have the right lighting for the occasion. Lighting design is an integral part of every interior. We use every space in our houses for different purposes, and the best way to conform to each purpose to specifically design the lighting elements to reflect the true spirit of the room. Regardless of whether you need a single room lighting design, or a lighting that encompasses your entire house, we can help you create the perfect mood throughout your house. 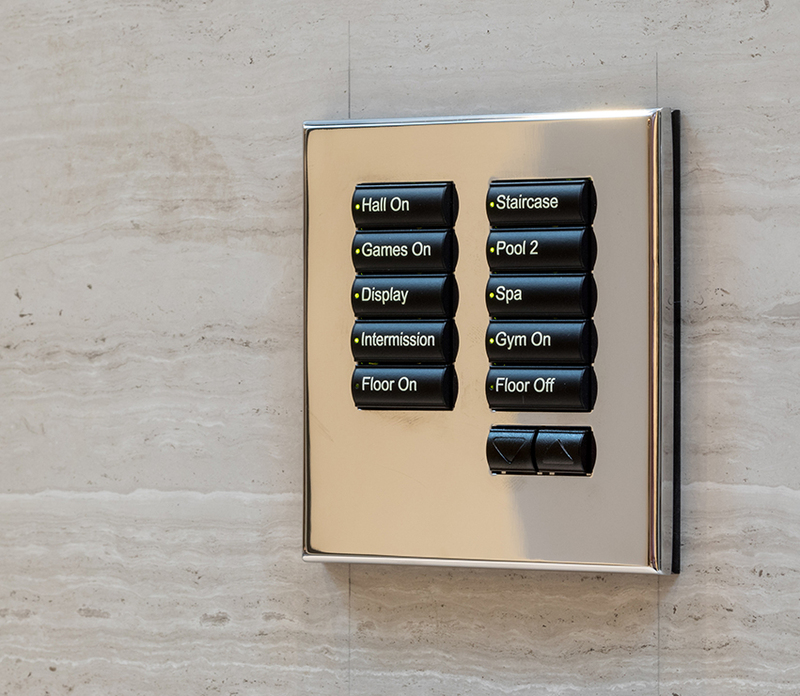 The integration with the smart home automation systems enable you to control all lighting options in your home from a single touch panel, which also hosts controls for entertainment, security, HVAC throughout the house. Today, the importance of energy efficiency is a crucial part of everyday life at home and at work. Reducing our dependency on high energy consumption without sacrificing quality of life has become of great importance. Smart lighting systems and LED lamp technology prioritise design and function equally with energy efficiency throughout the home. By incorporating digital dimmers, occupancy sensors, whole house control systems and even blind controls that maximise the use of daylight and reduce solar gain a property can reliable save 15-20% on electrical bills for lighting use. Lighting at home is not all about light fittings. It is absolutely crucial to make the most of natural light within a property. With smart Lighting control systems we are able to give you complete control of your curtains, shades and blinds from keypads and smart apps. In addition to simple control Blinds and curtains can also play a major role in reducing solar gain and UV damage to furniture and artwork in buildings as well as enhancing security. Sensors inside and outside your home detect light levels and temperature and if a family is at home before adjusting blinds or curtains to protect your home automatically. We are now more connected than ever, and our homes are no exception this. Connected smart home solutions now give you the control of your house even when you are away from it. With connected lighting systems, you can check the status of your lights at home, ensure no energy is being wasted and trigger automated lighting scenes to imitate occupancy at home, all from a single app on your smartphone, tablet, or even your smartwatch. Lighting automation and design offer a wide range of options for your home that truly highlights the best features of your interiors and save you money on energy bills. To experience the best design and installation practices on how the lighting can transform your home, we highly recommend you discover the world of lighting in person. Finite Solutions’ state-of-the-art showroom facilities in Leeds and London provide you with a glimpse of the glamorous world of home lighting. Discover our showrooms and book your appointment. Finite Solutions provide consultation and fixed fee design work for all residential and commercial lighting design projects. Design documentation includes mood board, play layouts, circuit and fitting schedules, data sheets and elevations to ensure client understanding and ease of installation by the contractors. Finite Solutions provide a complete end to end lighting solution via our in house lighting designers and in house smart lighting control system designers, installers and programmers meaning your lighting design will work seamlessly with your lighting control system to provide ease of use and flexibility. 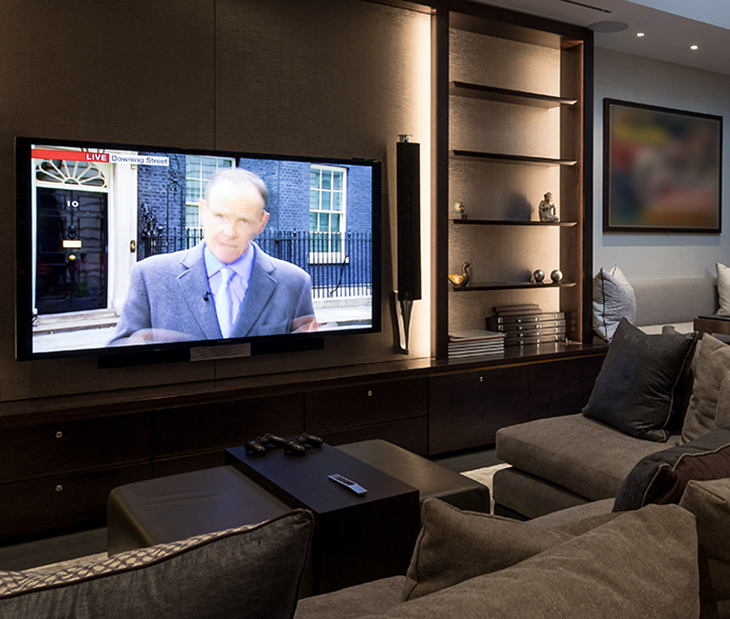 Finite Solutions work alongside your main contractors and our in house engineers will install and commission your lighting control system and program all the lighting scenes and functions to suit your requirements and to provide seamless integration with your wider smart home control system.